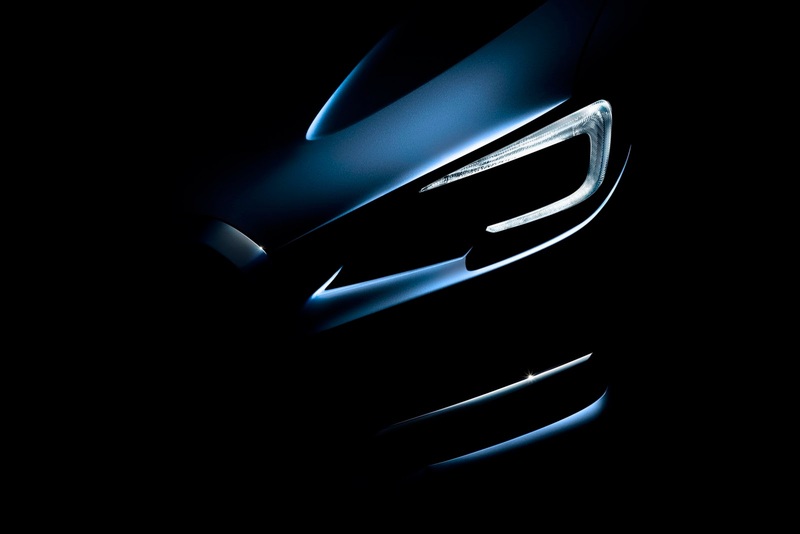 Στο Τόκιο η Subaru παρουσίασε το Levorg Concept, ένα νέο πρωτότυπο το οποίο η εταιρία το περιγράφει ως “sports tourer” με το μοντέλο παραγωγής του να βγαίνει στην αγορά την άνοιξη 2014 στην Ιαπωνία. Το όνομα LEVORG είναι το αποτέλεσμα του συνδυασμού του “Legacy” με το “revolution” και το “touring” και παρότι δεν είναι ιδιαίτερα εύηχο, είναι αν μη τι άλλου χαρακτηριστικό. Το cοncept είναι εφοδιασμένο με έναν υπερτροφοδοτούμενο boxer κινητήρα 1,6 λίτρων ενώ εκτός αυτού, διαθέτει και την νέα γενιά του Eyesight συστήματος της Subaru με νέες λειτουργίες ασφαλείας και υποστήριξη ελέγχου του τιμονιού. Έχει μήκος 4.590 mm, πλάτος 1.780 mm, ύψος 1.485 mm και 2.650 mm μεταξόνιο, κάνοντας το να τοποθετείται ανάμεσα στα Impreza και Legacy. Η έκδοση παραγωγής θα φορά τον 1.600αρη turbo κινητήρα στην έκδοση GT απόδοσης 170 ίππων με 250 Nm ροπής, καθώς και με τον 2,0-λιτρο turbo κινητήρα στην έκδοση GT-S απόδοσης 300 ίππων με 400 Nm ροπής. Ο 1.600αρης κινητήρας συνδυάζεται με CVT Lineatronic κιβώτιο έχοντας μέση κατανάλωση 5,9 λίτρα/100 χλμ, ενώ ο 2,0-λιτρος συνεργάζεται με το CVT Sports Lineatronic κιβώτιο, έχοντας μέση κατανάλωση 7,6 λίτρα/100 χλμ. Και οι δύο κινητήρες, έχουν το σύστημα τετρακίνησης στον βασικό εξοπλισμό. 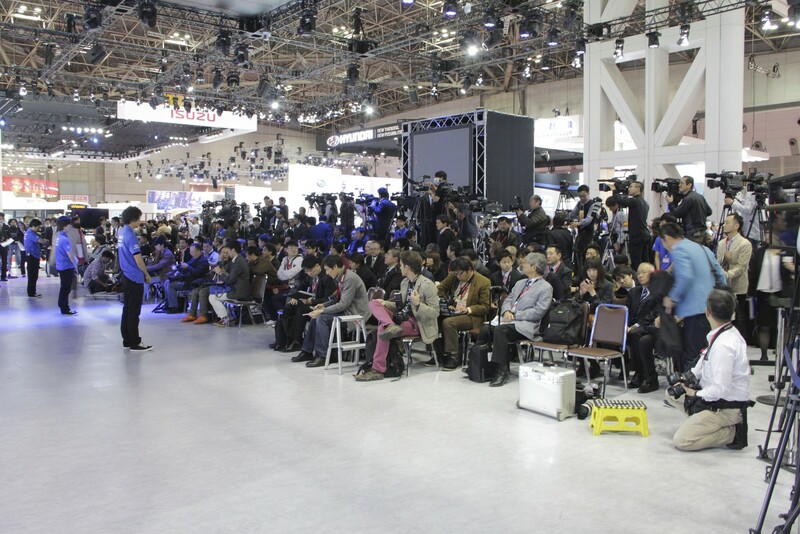 World Premiere of Subaru “LEVORG” at 43rd Tokyo Motor Show 2013. 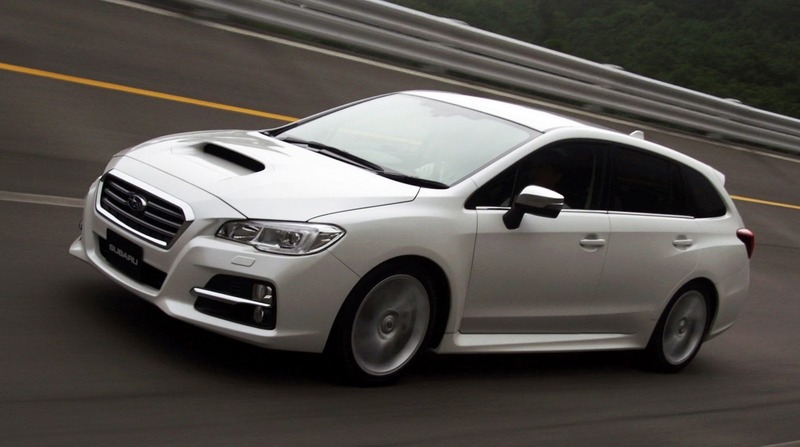 In developing automobiles, Subaru has always pursued optimal sports performance that amplifies the pleasure of driving. 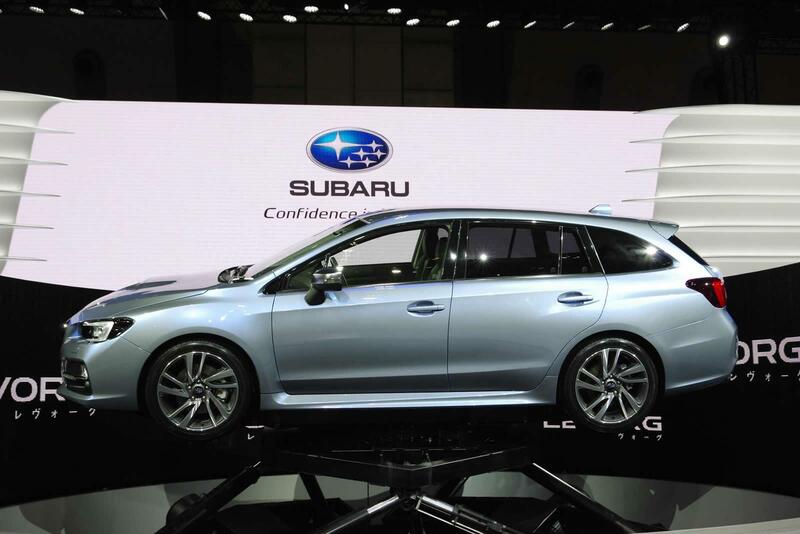 The new sports tourer Levorg is the fruit of Subaru’s commitment which not only offers driving enjoyment but also practical touring abilities which ensure a stress-free drive even in long distances. 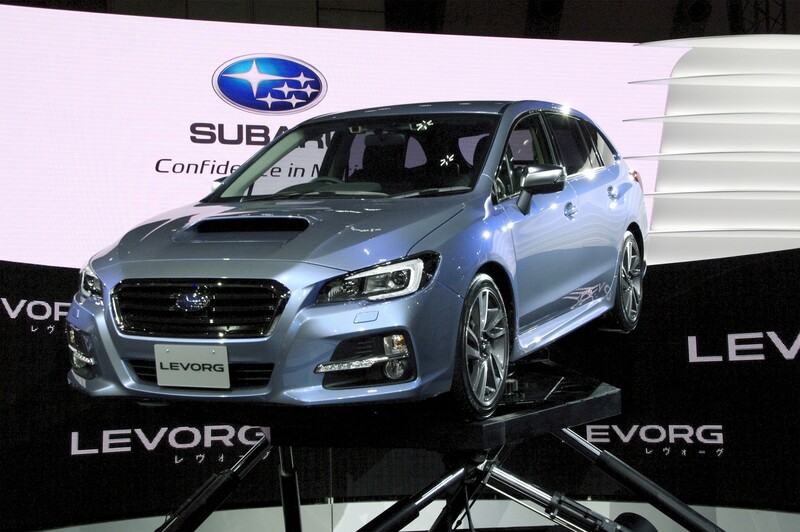 Levorg is the embodiment of Subaru’s longtime achievements and symbolizes the latest Subaru standards. 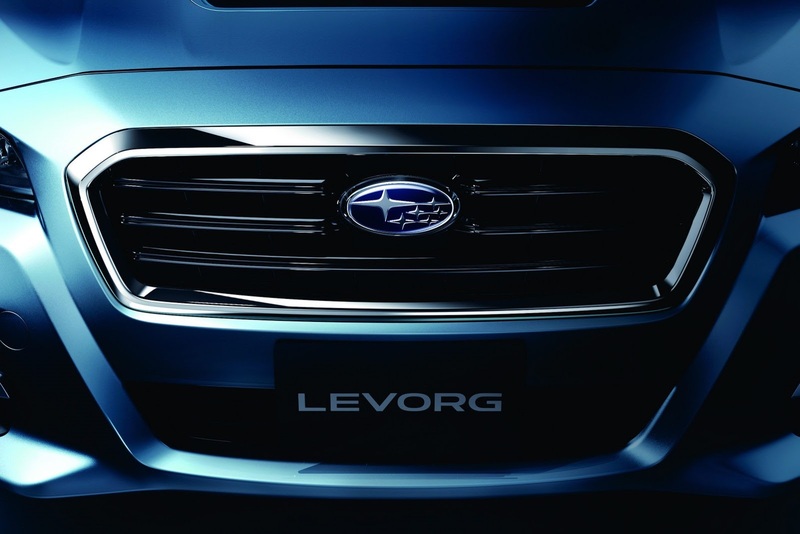 The goal in the development of Levorg was to make every customer who owned this vehicle thoroughly satisfied with it. 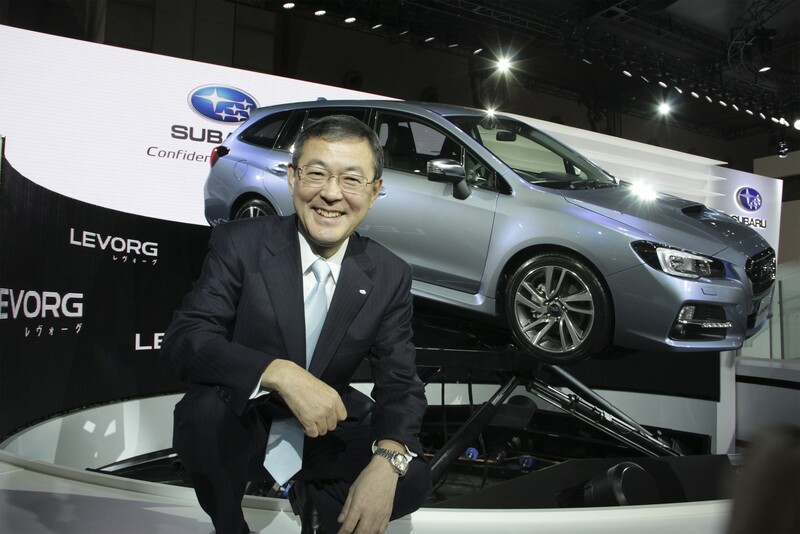 Over the years, Subaru has accumulated extensive knowledge on producing automobiles that provide “driving enjoyment and peace of mind”. 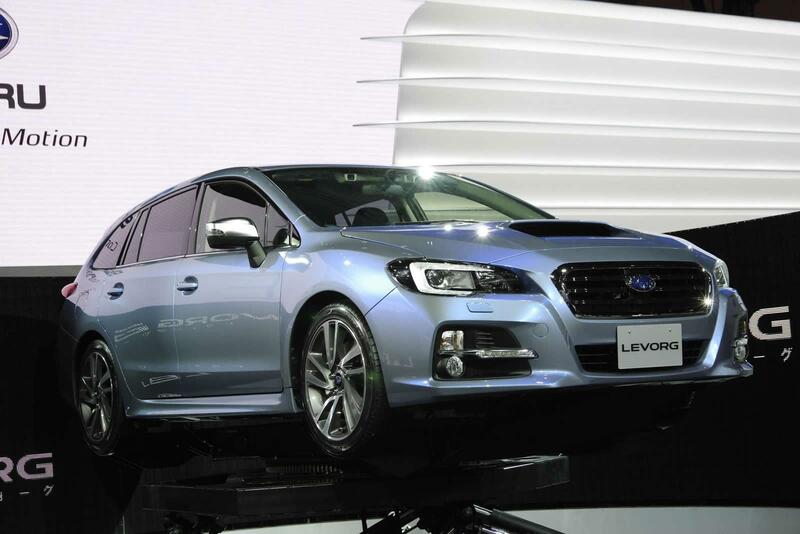 All of it was poured into the creation of Levorg while paying utmost attention to the slightest detail and never losing sight of the essence, i.e., what customers really want in a car. 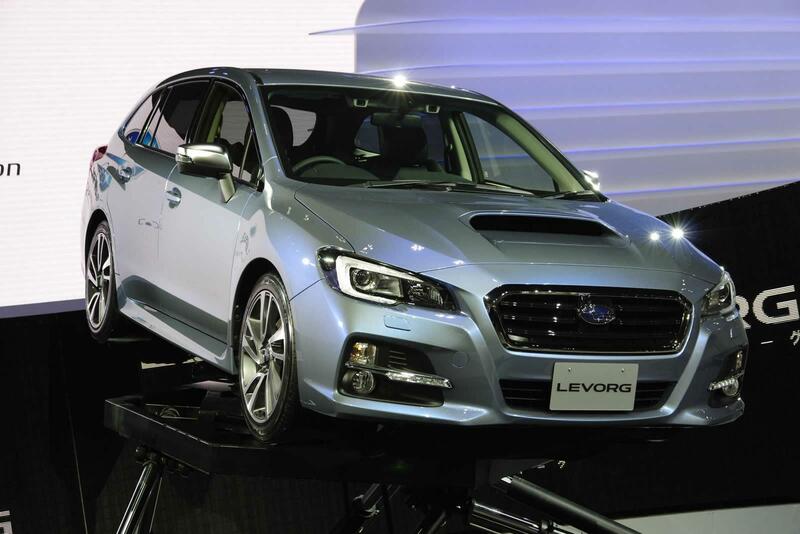 Levorg has the power to make driving smooth and lively. However, it carries a low displacement engine that also allows excellent fuel efficiency. 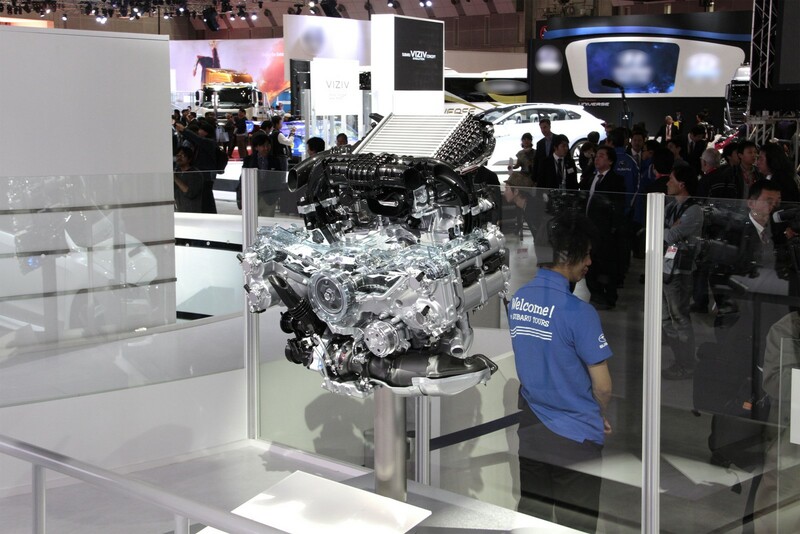 The Horizontally-Opposed direct injection turbo “DIT” powertrain comes in two types; one, the newly-developed 1.6-liter DIT, and two, the 2.0-liter DIT which gives superb driving pleasure with its high output and torque. 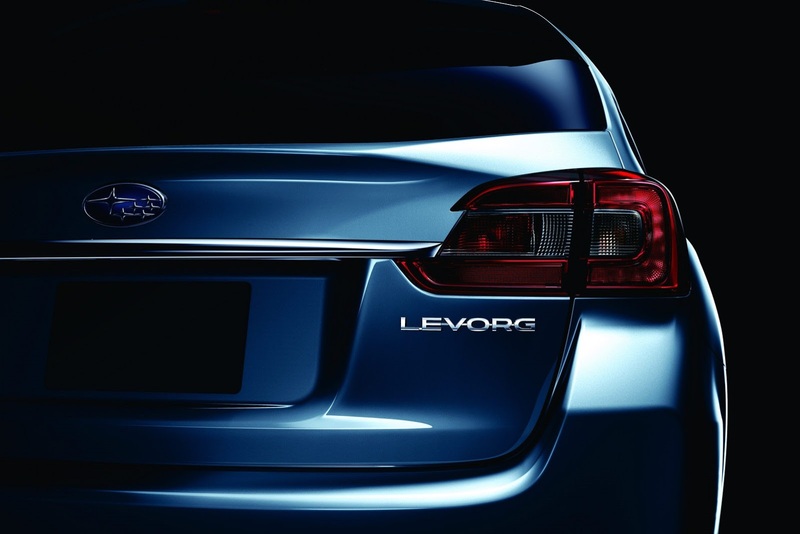 Levorg features an exquisite and stylish design of a sports tourer while also realizing abundant load capacity. Other attractions include its quality interior with finesse obvious in even the smallest parts, maximized utility, first-class driving comfort, and an exhilarating steering experience. 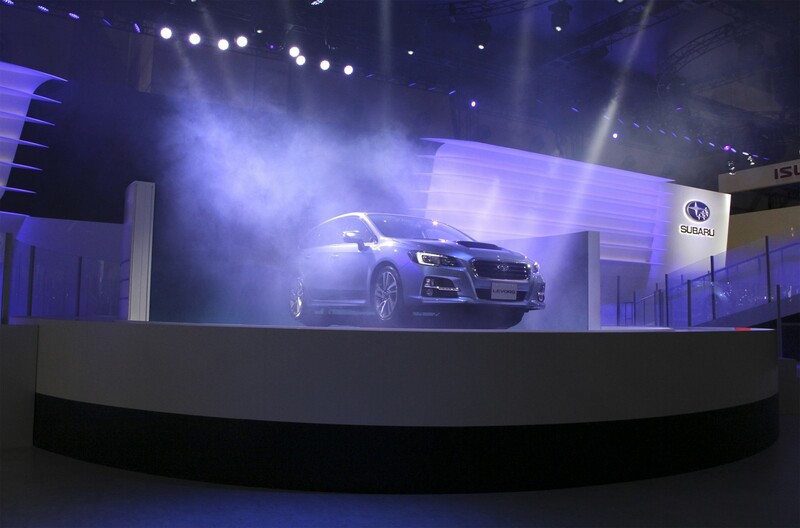 It is equipped with the next-generation EyeSight as well; all of these aspects contribute to a model that represents the future of Subaru and gains customer satisfaction that exceeds expectations. 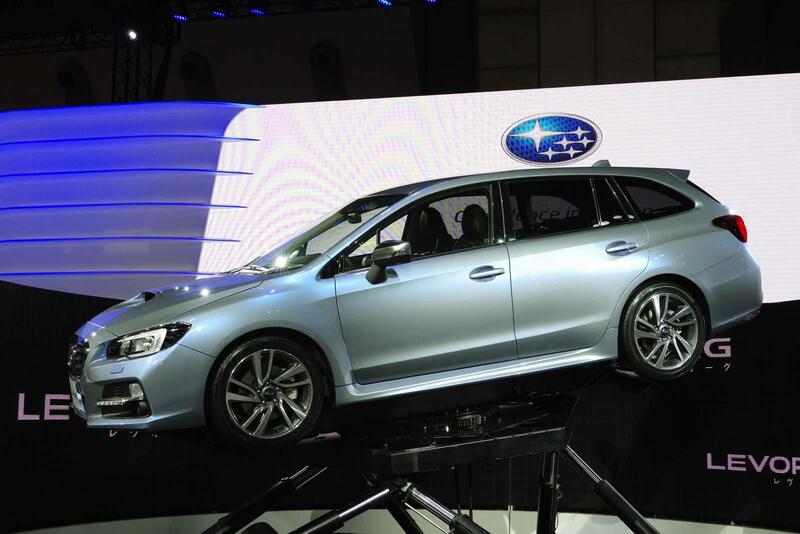 The production Levorg is scheduled to launch sales in spring 2014; pre-orders begin January 4,2014. 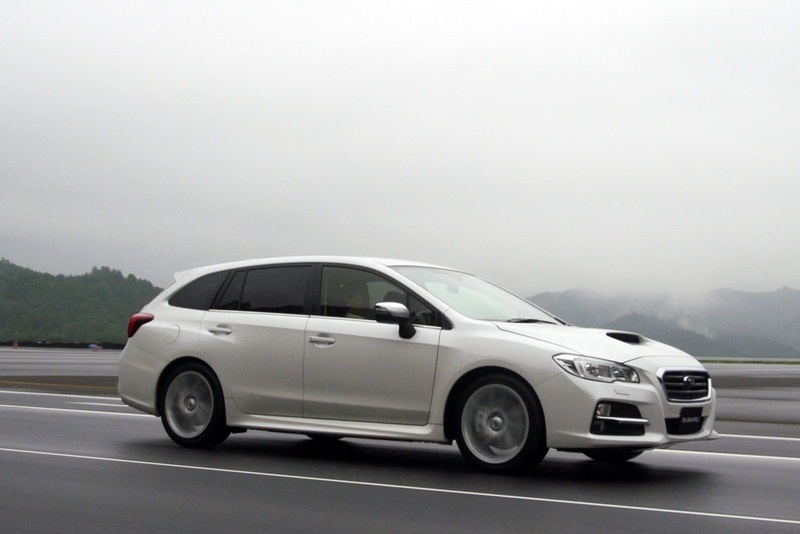 “Sports Tourer Innovation” Subaru prides itself on its unique approach to sports and touring performances of an automobile.Sports performance is linked to how much the car can offer driving enjoyment while touring performance is about a practical and comfortable driving experience even on long rides. 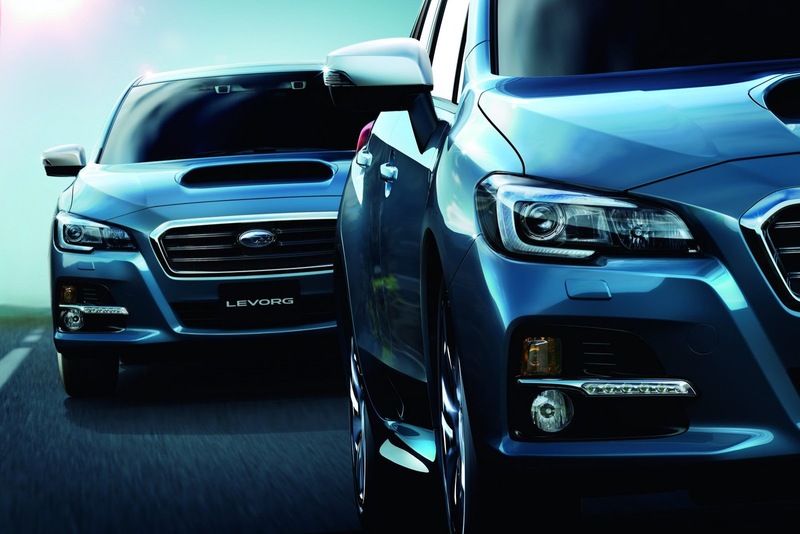 Levorg has been developed to merge the two but with both at extremely high standards so that many of the qualities that are desired in a car become attainable. 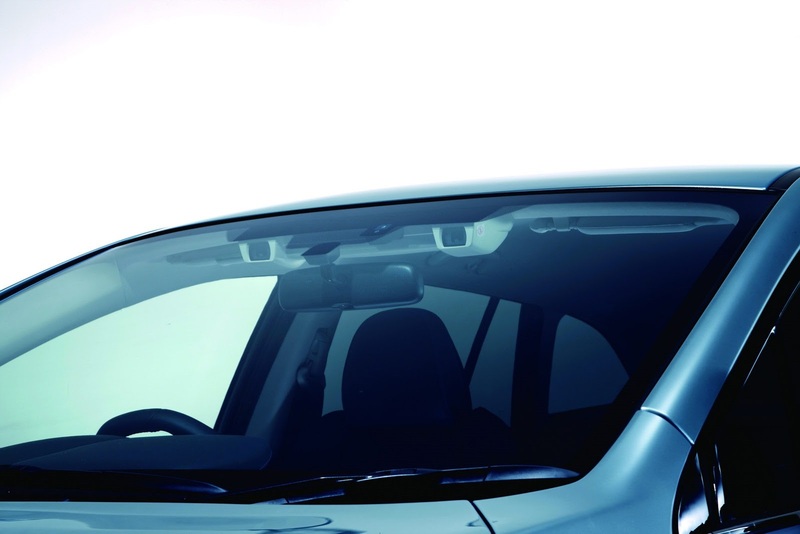 It innovates the whole concept of the sports tourer. ■Packaging High utility is expected of a touring car as well as a comfortable space for all passengers especially when going on long drives. 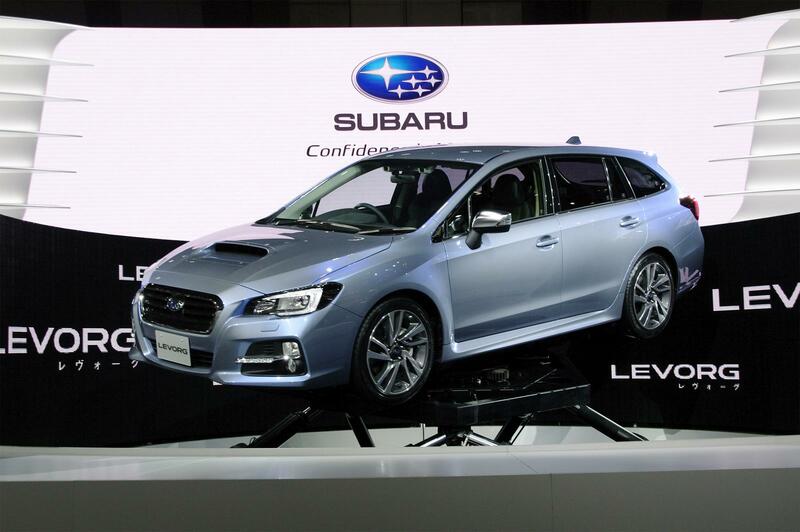 Levorg was built to fulfill those requests. 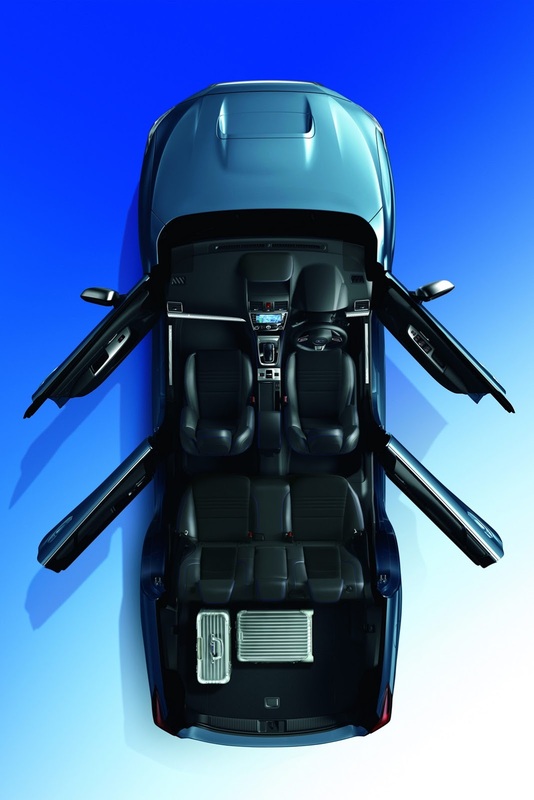 Body size is just right for Japanese road and traffic conditions and yet has enough interior space for a pleasant ride. Styling is sleek befitting a sports tourer but cargo space is functional and roomy, designed with the expertise gained from years of developing wagons. 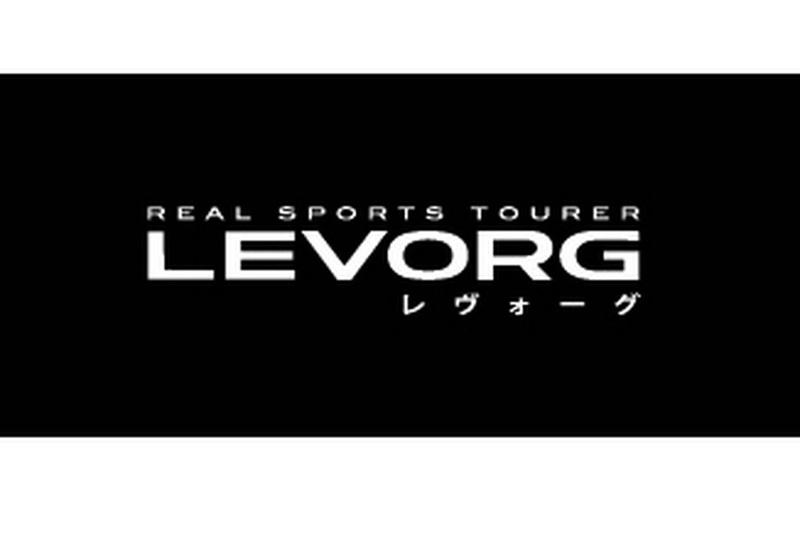 ■Design < Exterior > A fusion of stylish and functional was aimed for in the designing of Levorg to express an innovative sports tourer. 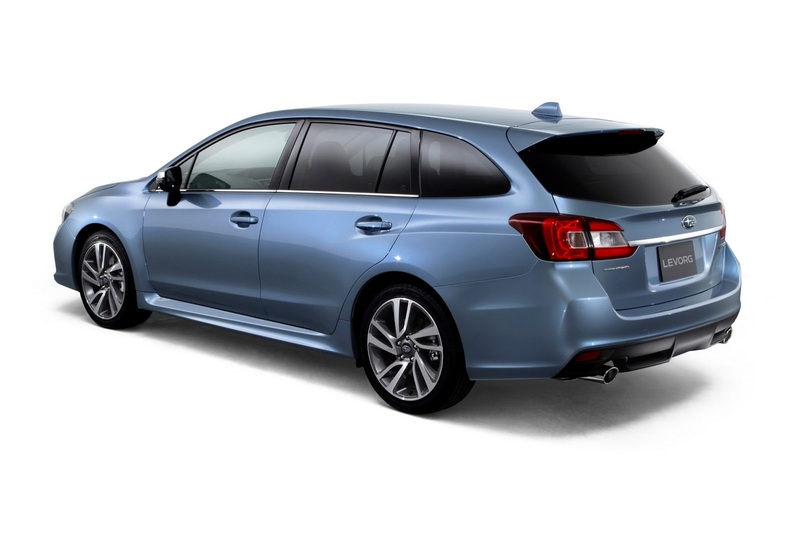 The impression of it as a sports car is strong while it also possesses a smooth sporty feel of a wagon. While maintaining ample cargo space, the end of the roof was kept low to realize the sleek silhouette from body front to rear. 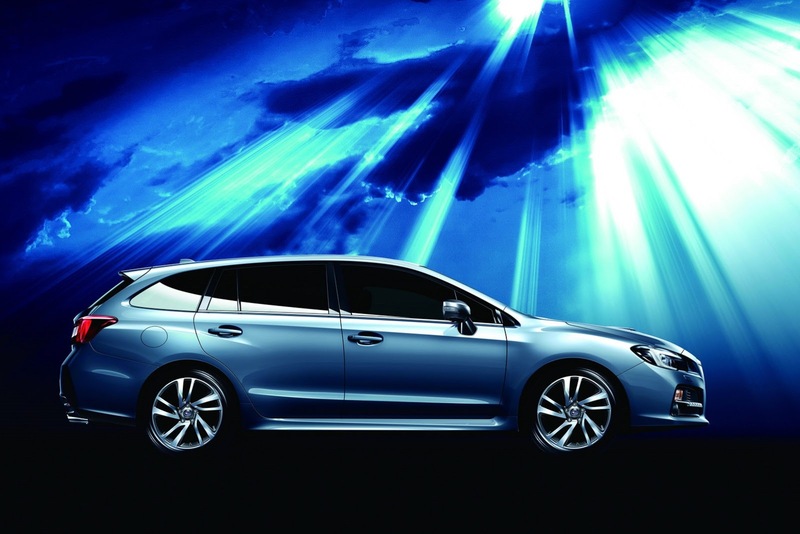 Its chic but active appearance conveys the sports tourer Levorg’s performance potential. The dynamic front design with a three-dimensional feel was made possible by employing a nose cone. 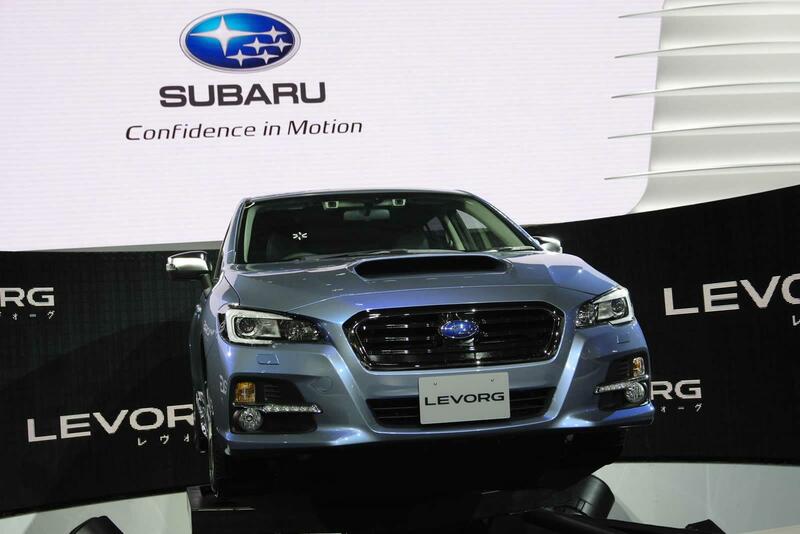 It features the standard Subaru design motif of the hexagon grille. 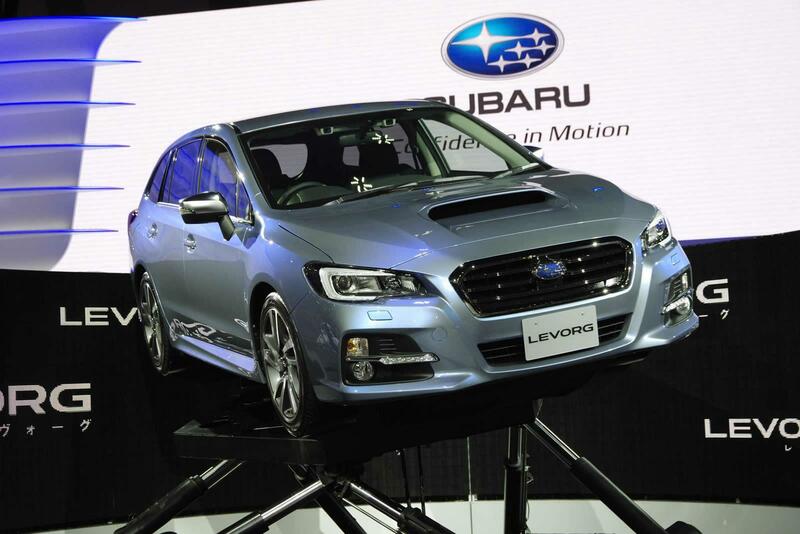 The hawk eye headlights emphasize Levorg’s energetic aura. The body color is available in “Metallic blue grey steel” or “Pearl crystal white”, both never used in production before. 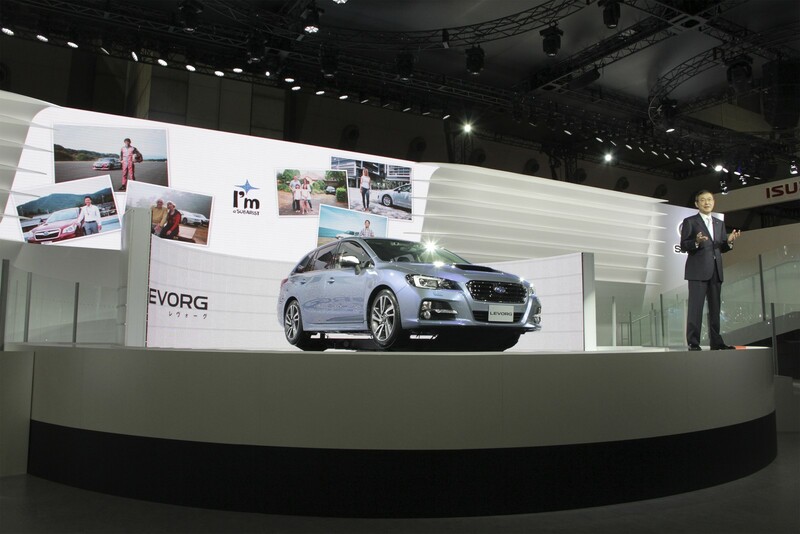 < Interior > The texture and quality of material were of great importance, as well as the attention to details, to give Levorg’s interior an overall high quality feel. 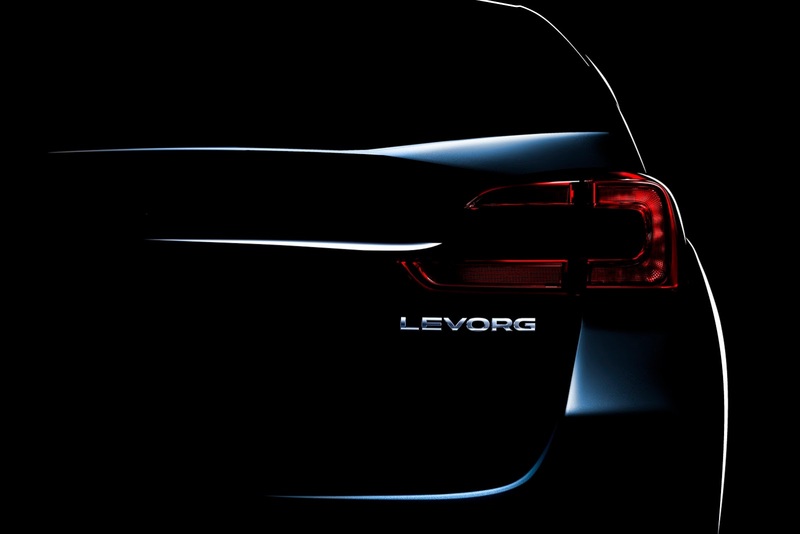 Levorg is equipped with advanced and useful functions all around. Piano black finishes, metallic-toned accents and plated parts highlight the interior and create a rich space. The meters employ the twin-lens horizontal layout of 3.5 inch full-color liquid crystal displays.The satin plated rings with ice blue lighting emphasize a sharp high-tech look. 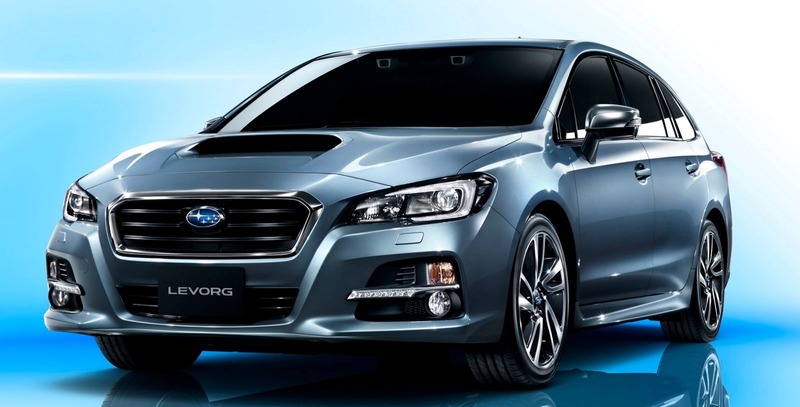 Levorg’s sportiness is portrayed in the D-shaped steering wheel that raises expectation for a fun driving experience. 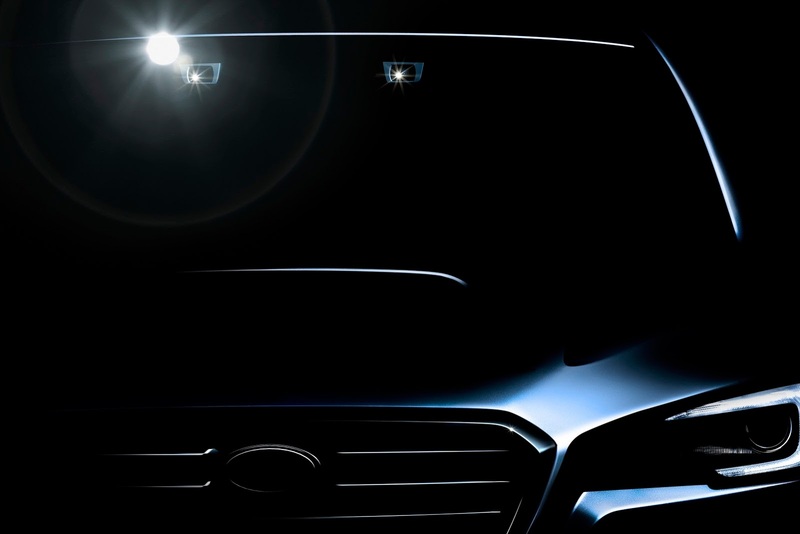 Levorg riders will receive various greetings from the vehicle that will appeal to their senses. For instance, when the driver gets on the car, the meters put on a little opening act while welcoming sounds are played. 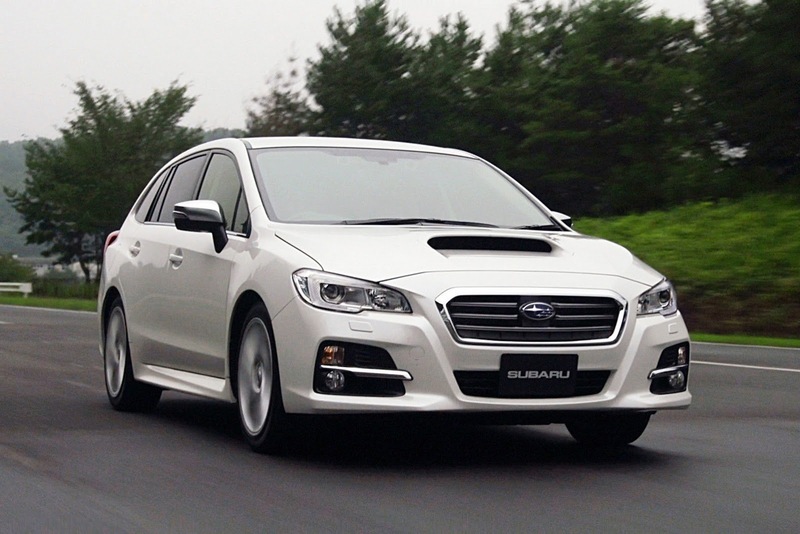 ■Mechanism < Engine > Two types of engines are made available in Levorg, each with unique appealing qualities in its balance between driving and environmental friendliness. 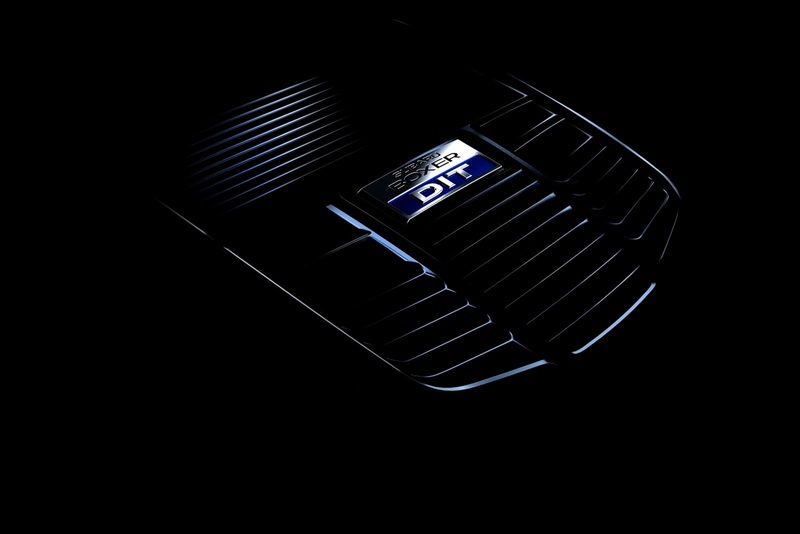 The newly developed 1.6-liter Horizontally-Opposed DIT offers both brisk driving pleasure and superb fuel performance of 17.4 km/liter (JC08 mode)*1. This feat is actualized by combining a low displacement engine with DIT. 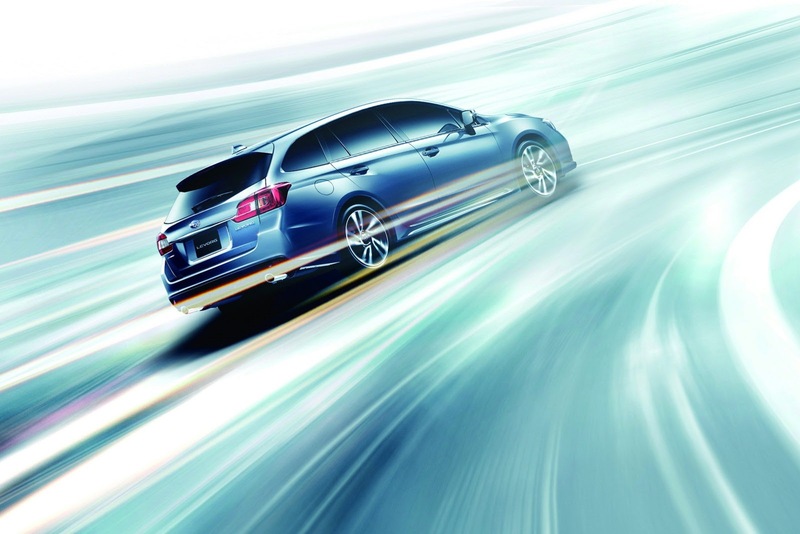 Fuel efficiency was enhanced by Subaru’s first adoption of DIT plus no idling. 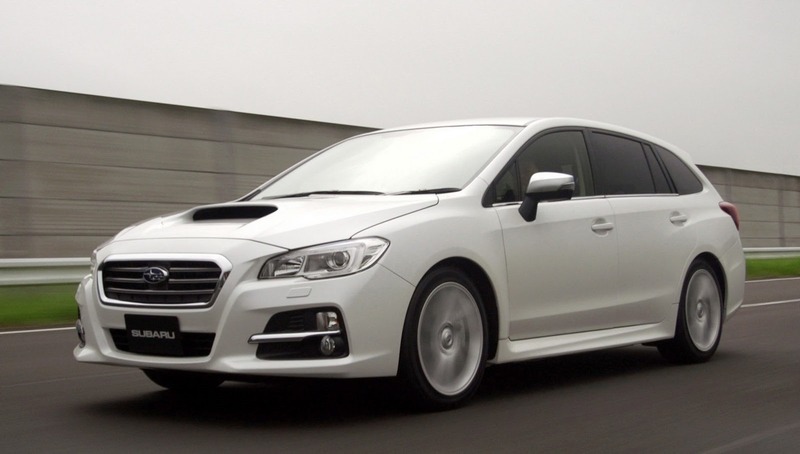 A full tank can keep Levorg running for 1000km*2. 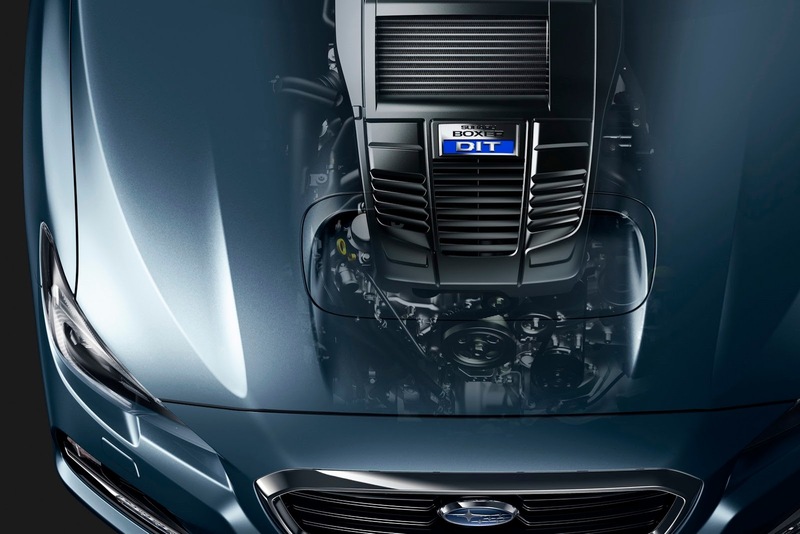 The engine is fit for a sports tourer that can take passengers farther in more comfort. It is also economical, made for regular unleaded gasoline. A high output of 221kW (300PS)*1 and a torque that reaches 400N・m (40.8kgf・m)*1 with 2000 rpm are impressive performances suiting a high grade sports tourer. 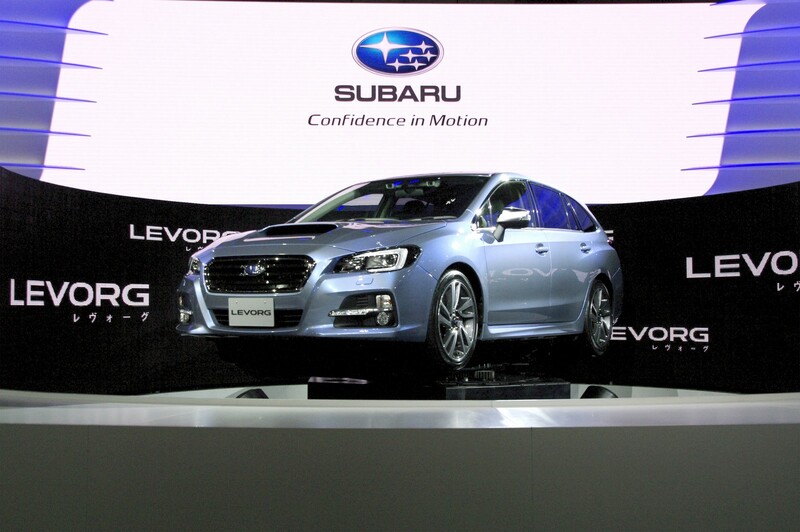 However, Levorg also achieved a superb environmental value of 13.2 km/liter (JC08 mode). 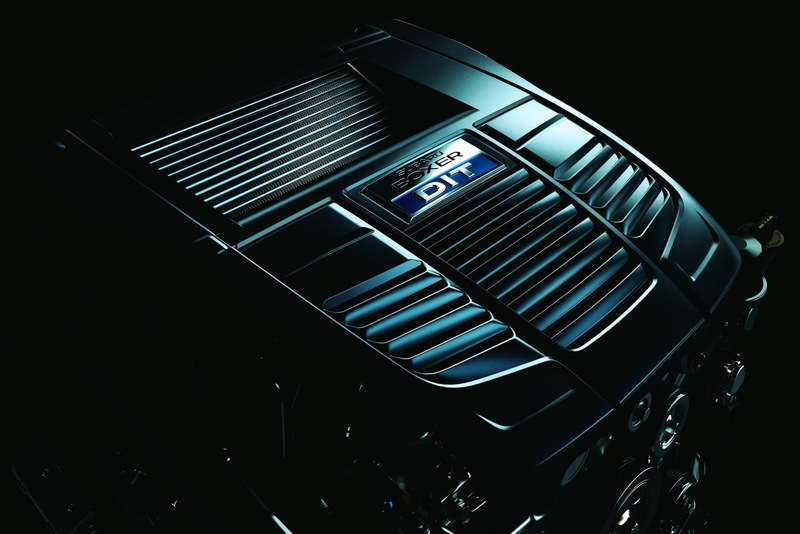 < Transmission > To match the two unique types of engine, the best fitting Lineartronic is optimized and installed.The characteristic of Lineartronic, its smoothness, is of course evident but it also provides a fun sporty drive with the “SI-DRIVE”. For the 1.6-liter DIT, lightweight and compact Lineartronic has been adopted. 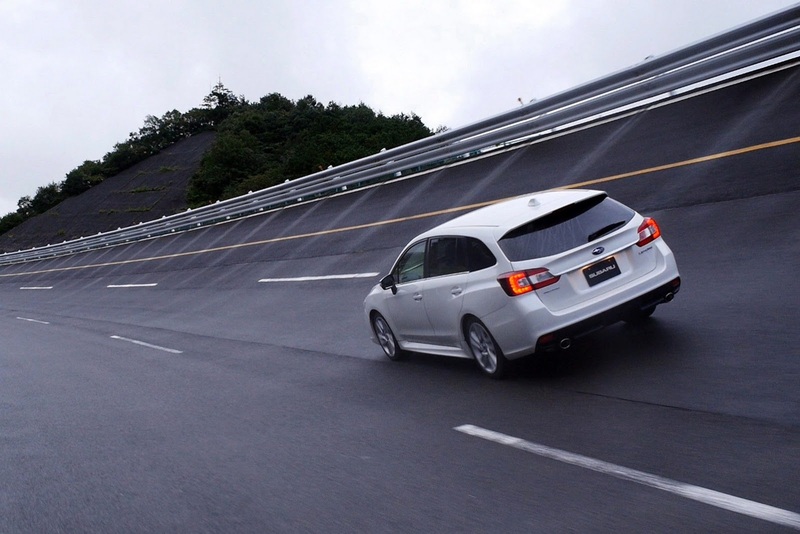 The two modes of “SI-DRIVE” realize the best gear control for fuel efficiency and driving enjoyment. High output and high torque 2.0-liter DIT is matched with Sport Lineartronic to endure the high performance model’s heightened power and environmental performance. 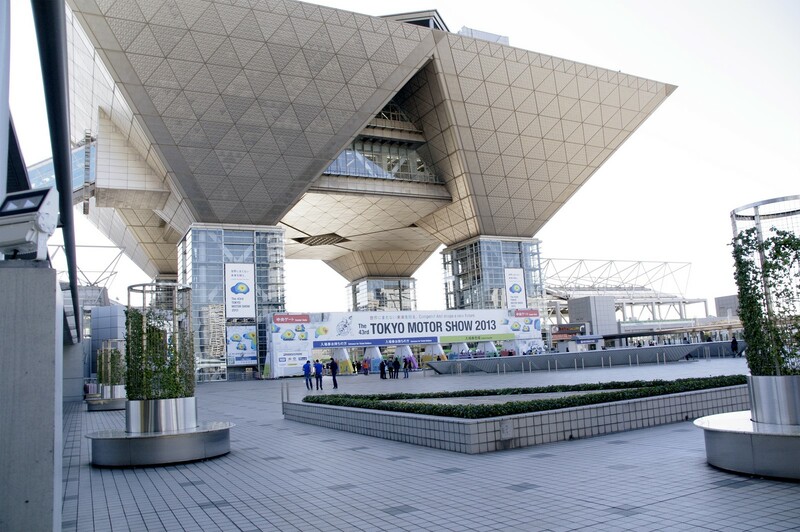 “SI-DRIVE” has “Sport# (S#) mode” in which the driver can shift between eight steps. By choosing the mode, the driver can directly feel both Lineartronic’s smooth gear shifting as well as its extraordinary power. 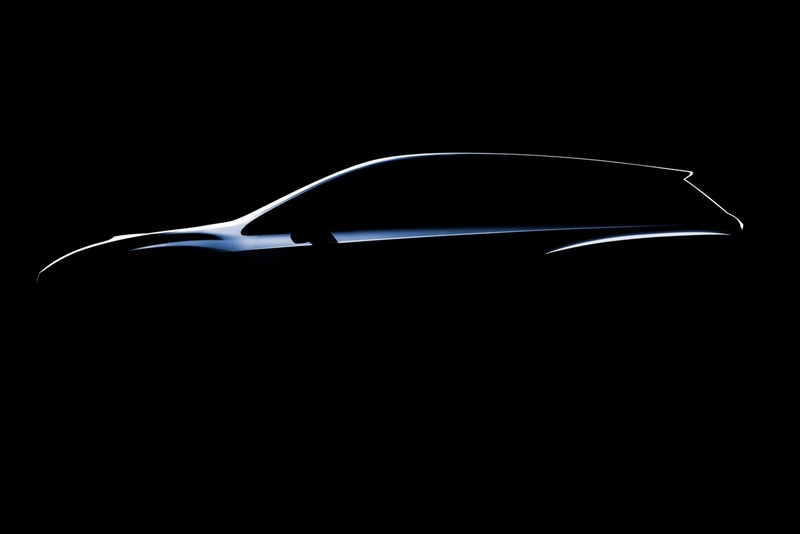 It is sure to satisfy the desire for sporty driving. < Chassis and Body > Sports tourers are expected to offer both sports performance (for agile and fun driving) and quality driving comfort even on long rides. 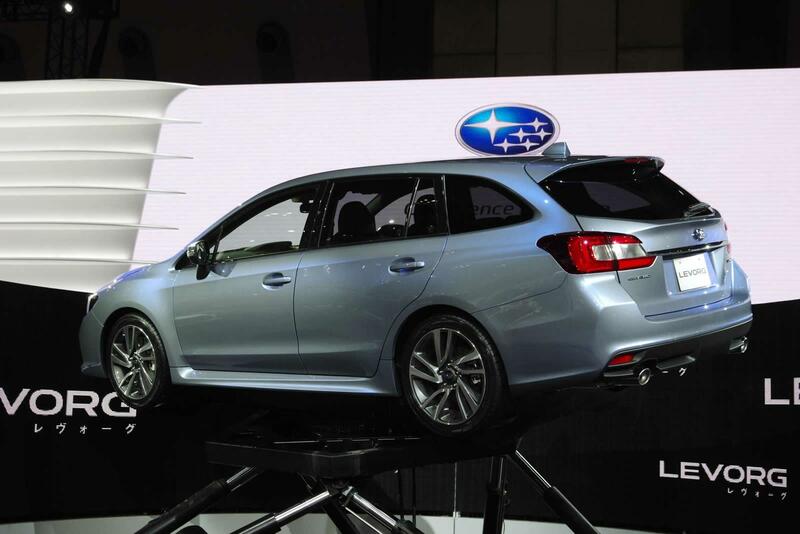 These demands were met by enhancing rigidity in various parts of the chassis and body of Levorg. The electric power steering has been optimized and the body and suspension stiffness enhanced to realize a direct and sporty steering with great responsiveness. The D-shaped steering wheel with a small diameter and thick grip improves maneuverability and grasp response. 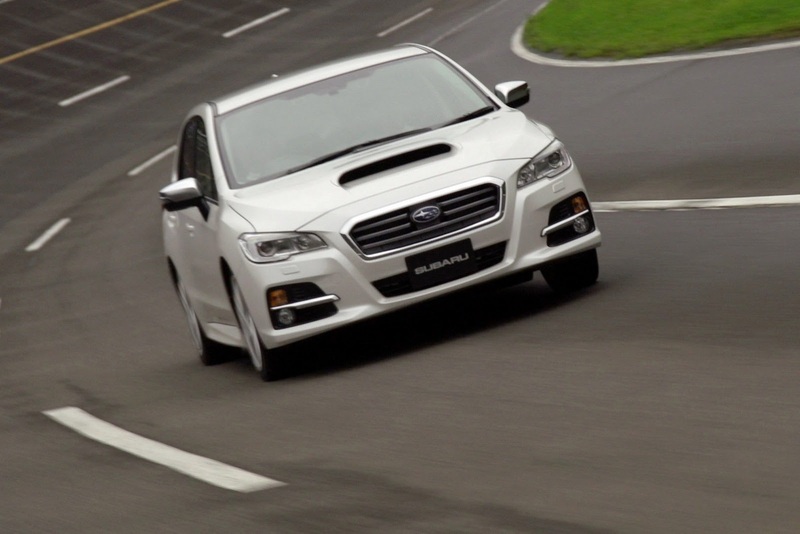 Body and suspension stiffness was considerably refined to allow high grade driving comfort. 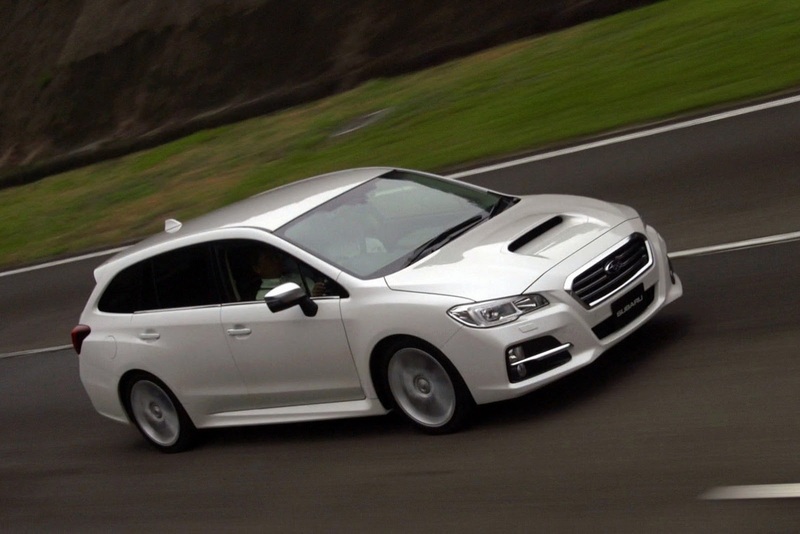 By realizing a linear response to the road, Levorg can make even long drives a pleasurable experience, thereby fulfilling its role as a sports tourer. 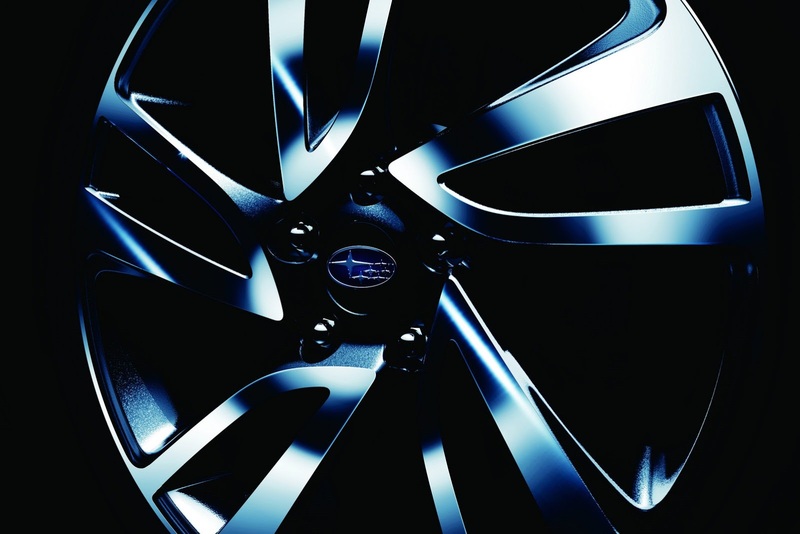 ■Safety The phrase “ALL-AROUND SAFETY” expresses Subaru’s safety philosophy. 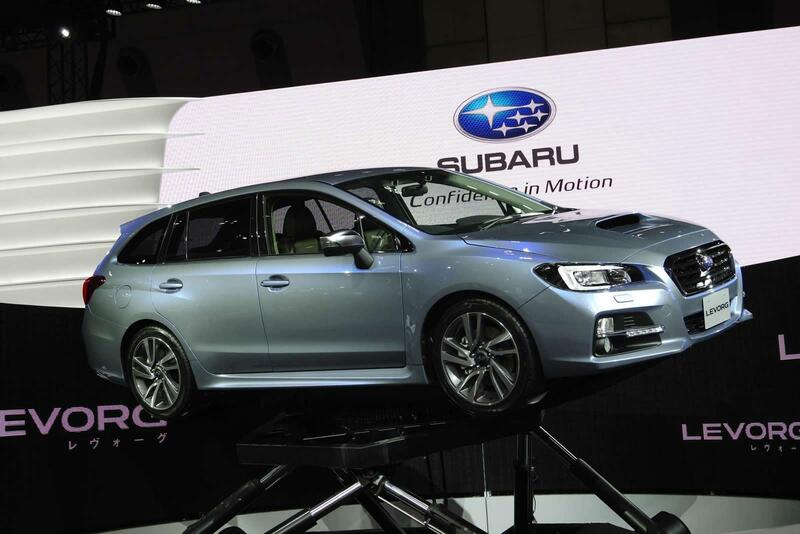 Subaru improved performance of all safety factors, which included the advancement of EyeSight. 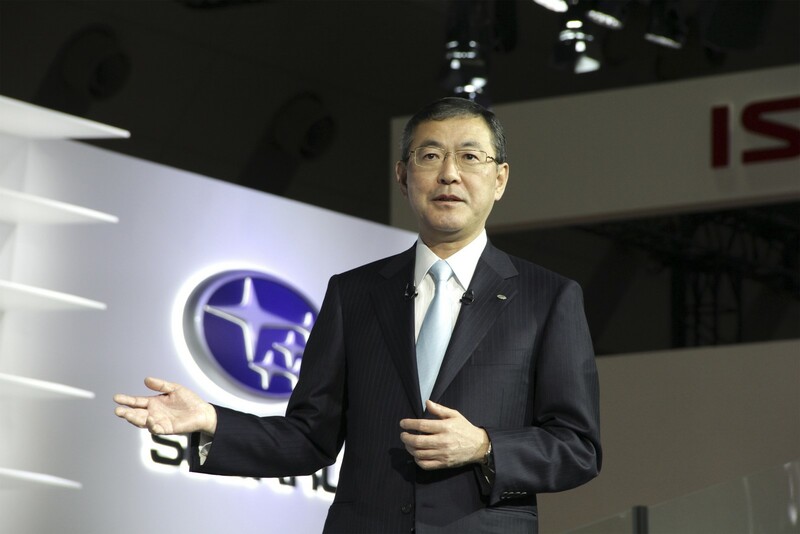 Subaru has been refining and upgrading the Symmetrical AWD (All-Wheel drive) for years. 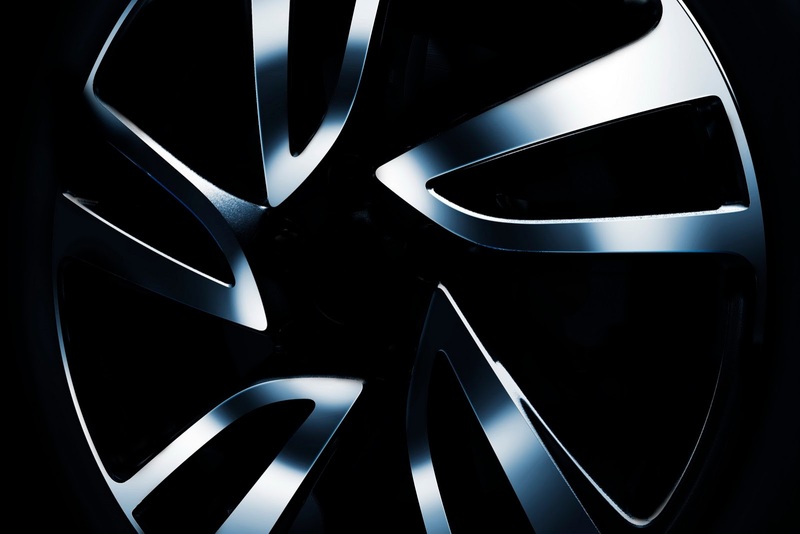 With Symmetrical AWD as the basis, combined with an advanced Vehicle Dynamics Control (VDC) system, an exceptional hazard avoidance performance was attained. Also achieved was the security of safe and enjoyable driving in any situation. 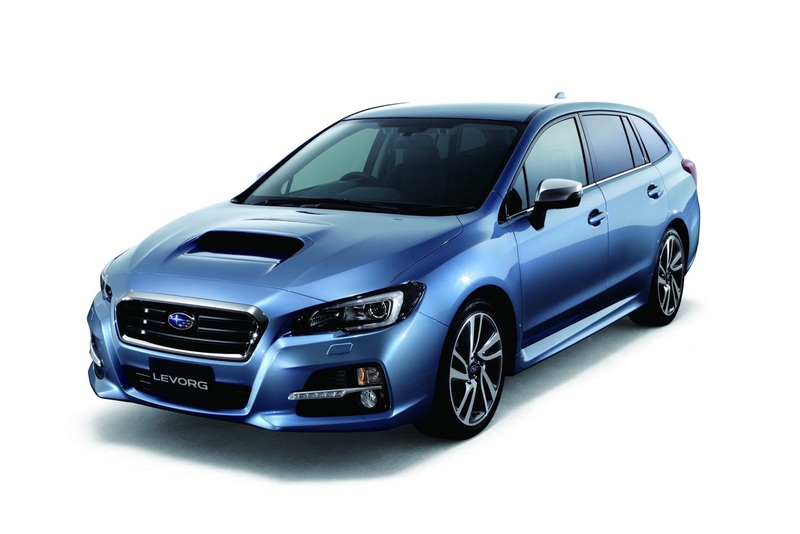 Levorg is installed with the Emergency Stop Signal which quickly flashes the hazard warning lights when the vehicle makes an abrupt deceleration from high speed. It warns the cars behind it of rapid approach and collision risk. High tensile steel of 980MPa and other grades were effectively and amply employed. Although this effort contributed to reduction in weight, it also achieved world top-class level collision safety from all directions. 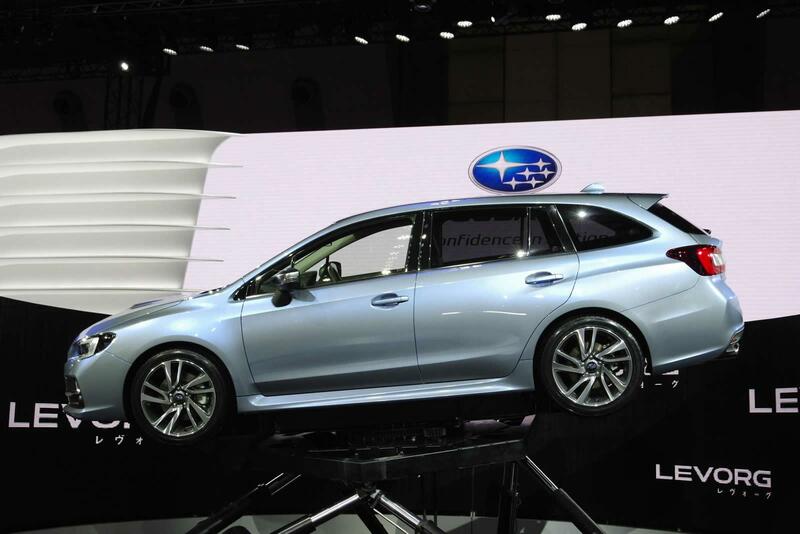 Seven airbags are standardly equipped in Levorg, including a knee airbag in the driver’s seat which is the first time it is employed domestically. Airbags were optimally placed in the body of the vehicle to ensure excellent passenger protection. To protect pedestrians, the front hood and bulkhead are built in an impact-absorbing structure and impact absorbents are placed in the engine compartment side. 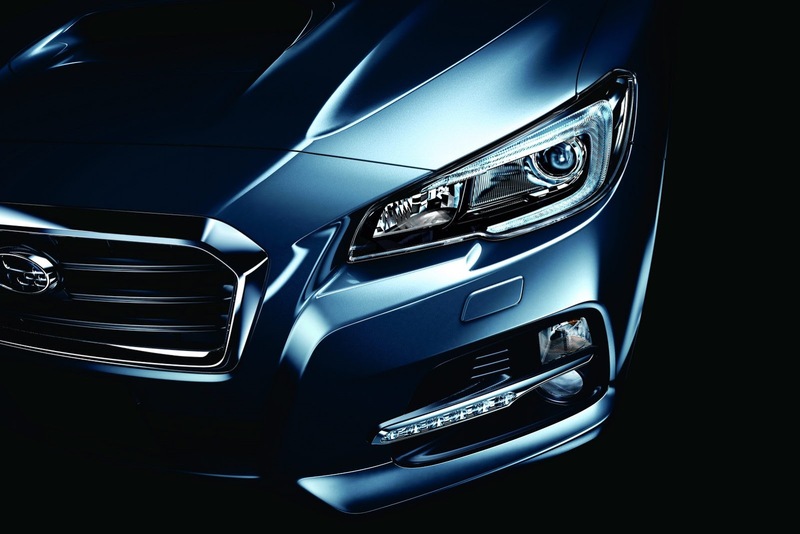 < EyeSight > Levorg is equipped with the latest version EyeSight which has new stereo cameras with a wider angle, farther visibility and color recognition. 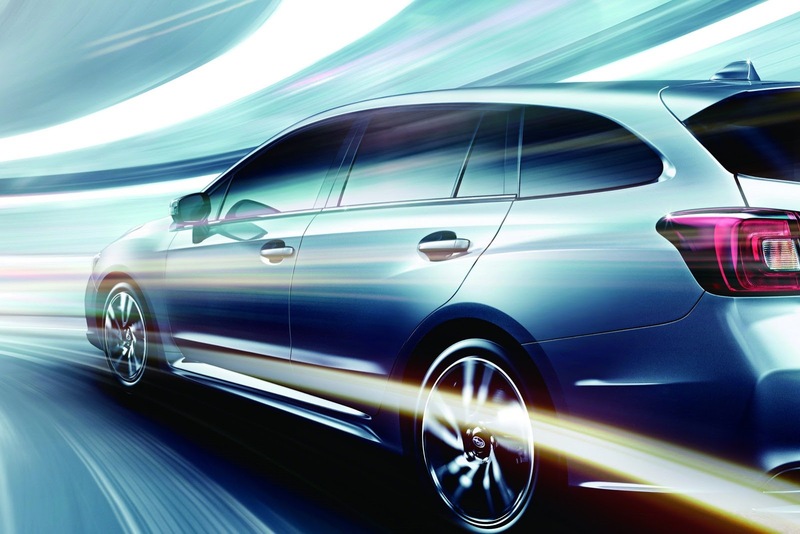 This new generation EyeSight can also control steering — all of which adds up to a greatly advanced safety performance. New features such as the Active Lane Keep System, Pre-Collision Reverse Throttle Management and Brake Light Recognition join forces with improved functions such as the Pre-Collision Braking Control and Adaptive Cruise Control to provide cutting-edge active safety technology. The relative speed at which automatic braking is possible to avoid collision between vehicle and object or to reduce collision damage has been increased to approximately 50 km/h maximum. An approximate 40% increase in viewing angle and visibility distance makes possible the earlier detection of pedestrians, other vehicles cutting in, and cars ahead. More application opportunities mean more protection. The detection area of the stereo cameras has increased, therefore allowing improved response to acceleration/deceleration of the vehicles ahead, as well as better tracking of front vehicle when merging or rounding corners. Because stereo cameras now have color recognition, EyeSight can detect when brake lights are activated in the vehicle ahead and manage even faster deceleration when needed. Safer tracking is made possible. Lane Keeping Assist If EyeSight can recognize the lines on both sides of the lane when driving above approximately 65 km/h with Adaptive Cruise Control activated, it will assist steering so that the vehicle stays in the middle of the lane. This greatly reduces the burden on the driver and supports stable driving. The system determines whether the driver is operating the steering wheel or not and if not in operation, it will turn this feature off. Lane Departure Prevention Assist If the vehicle is about to stray from the lane when driving over approximately 65 km/h on limited-access highways, EyeSight will display and sound the lane departure warning signal and apply torque to the steering wheel to correct its path back to the center of the lane in order to suppress lane deviation. 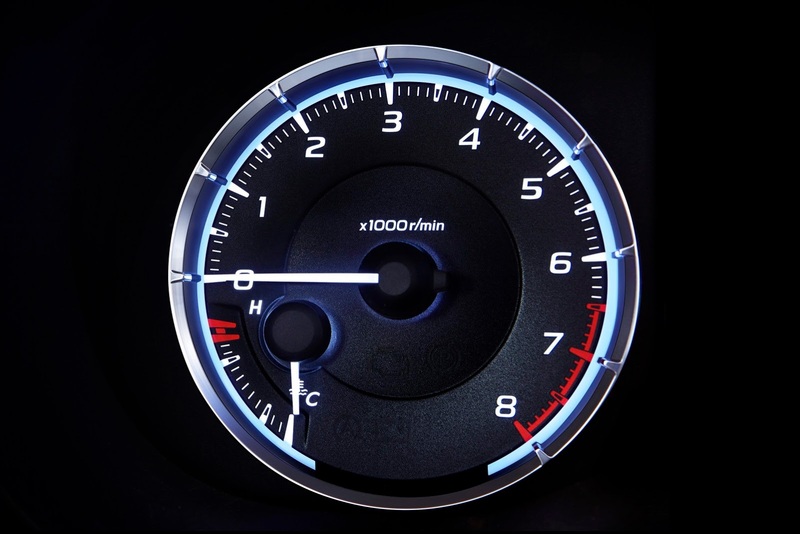 For instances such as when the system detects acute acceleration while the gear is in reverse, it displays and sounds a warning signal and restricts engine output to stop vehicle from backing up too abruptly. If the system determines that collision with another vehicle or object in front of the vehicle is highly possible, the integrated vehicle control technology of the VDC will assist the driver in steering the vehicle to avoid the collision. *3： The performance of these features may diminish due to road, weather and/or vehicle conditions. *4： The names of new functions are tentative.